CH HR Pemberly’s Go the Distance CDX MH RE WCX Keaton is my first homebred champion. Keaton is truly a dual purpose dog with correct breed type, soundness, and field talent. He finished his master hunter in August of 2011. Three months after receiving his Master Hunter, he earned his CDX in three straight trials. 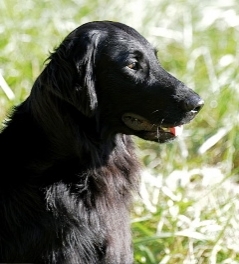 Keaton is the son of two Hall of Fame Dogs and has been completely owner handled to all his titles. Keaton has a wonderful temperament, a strong work ethic, and an honest water dog. His young offspring are winning in the breed ring and titling in the field.